Tule mukaan tutustumaan, tanssimaan ja nauttimaan brasilialaisesta paritanssista. Aiempaa kokemusta tai paria et tarvitse osallistuaksesi! Klo 18 opetellaan yhdessä forrón perusteita ja klo 19 alkaen tanssitaan vapaasti forrón rytmeihin. Tapahtuman järjestää Forró Abraço Nordestino ry. Voit kysyä lisätietoja: info@forro.fi. Free forró social dance open to everybody! The event is beginner friendly and a great opportunity to get to know Brazilian couples dance forró. 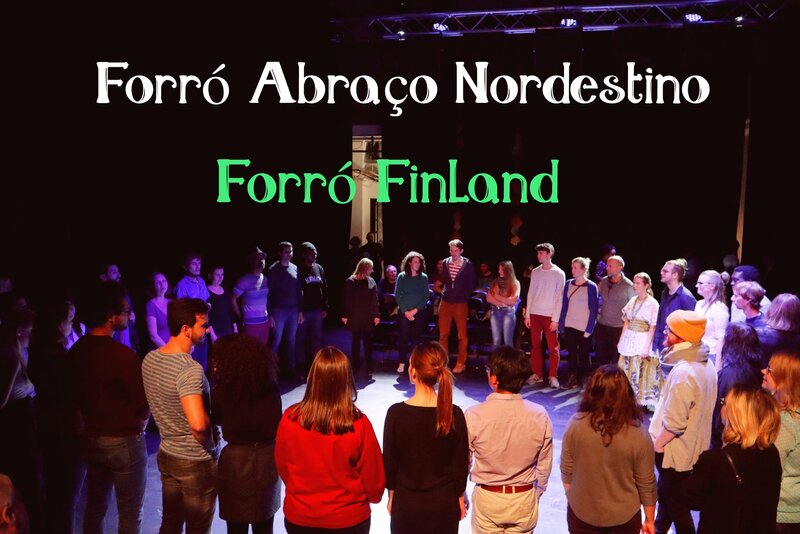 Forró Abraço Nordestino is a community for all who love forró and wish to expand the forró family in Helsinki by bringing people together, creating more spaces for embodied connection, meaningful interaction and acceptance towards others within the joy of learning and sharing through dance. For us forró means continuous inspiration and love for life, embracing diversity and culture. Whether you are a beginner or already well acquainted with forró we are looking forward dancing with you!